Dining Room Empire: It's Over? Yes, it is a question. But my slump may be over. 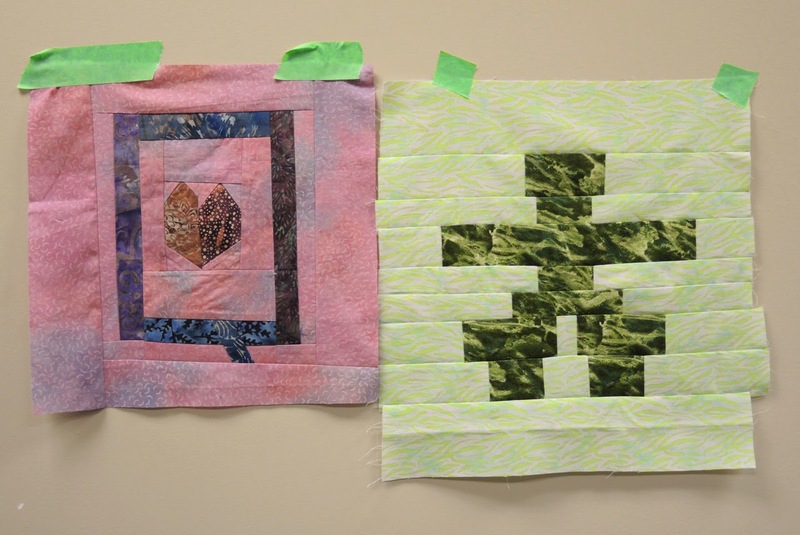 And I have to give all the credit to my students at the recent Quilt Canada workshops. 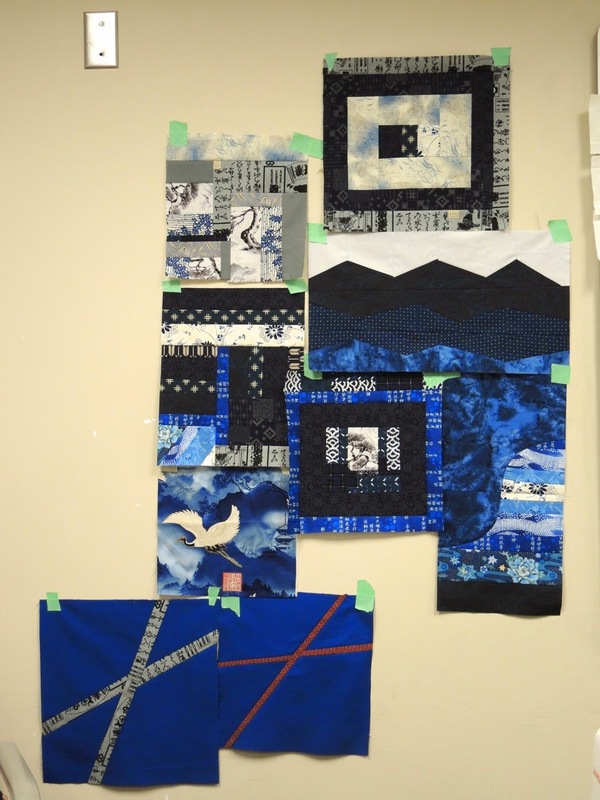 A few weeks ago I had the pleasure of attending Quilt Canada in St. Catherines, Ontario. 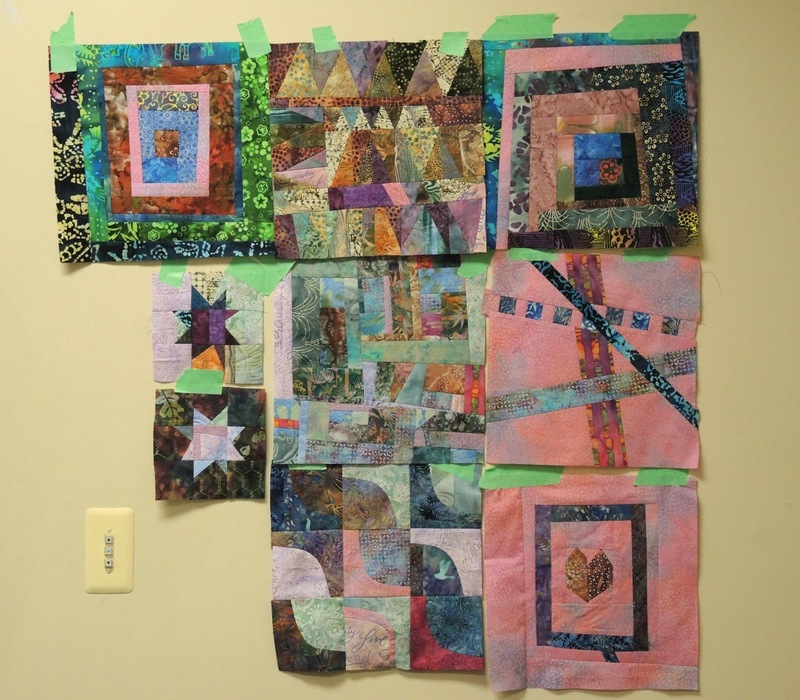 This is the annual big deal in Canada, hosted by the Canadian Quilters' Association and put on by a different local organizing committee. It includes the National Juried Show (which had a modern category this year) and 4 days of workshops, on top of the fun things like banquets, merchant malls, and challenges. I had three days of classes, two days being an Improv workshop. In our small, ridiculously hot classroom we played and played with fabric. When I teach Improv I like to teach a series of basic techniques via blocks. For an audience used to more traditional piecing I find it to be a good foray into the world of Improv. When I get multi-day workshops we then get more time to play. And oh, did the ladies in this class play. They all embraced improv with open hearts and sharp rotary cutters. As we taped blocks to the wall, brainstormed possibilities, drew out more and more inspiration, and laughed a lot the excitement grew. I was completely caught up in the energy and inspiration. I'm not going to lie, I may have even jumped up and down a little. At the end of it I was desperate to sew myself. But I had to rush off on a plane to be home for The Monster's 8th birthday. So I found some time in the following week to play. And when I did play I felt all the same excitement in my own little basement studio that I felt in that room. I felt grounded, I felt energized, I felt creative again. Thank-you so much ladies, I owe you so much. Here is what I played with. 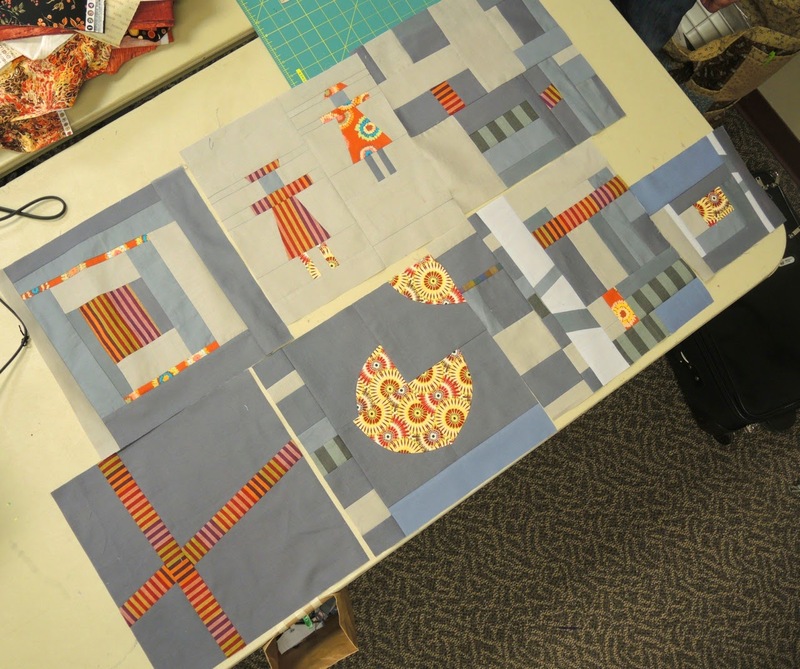 In the class we covered how to take an idea, and image, and translate it into an improv pieced block. Houses, letters, numbers, mountains, diamonds, they all came out that day. We also brainstormed other shapes and one of them happened to be a sewing machine. That idea planted itself into my head. I think I may turn this into a full pattern as my mind is spinning with possibilities. And if it wasn't the last day of school I could tell you for sure that I would be sewing more of these every day. Yup, the slump just may be over. Yay for slumps ending! Mine lasted for 5 years, LOL!! 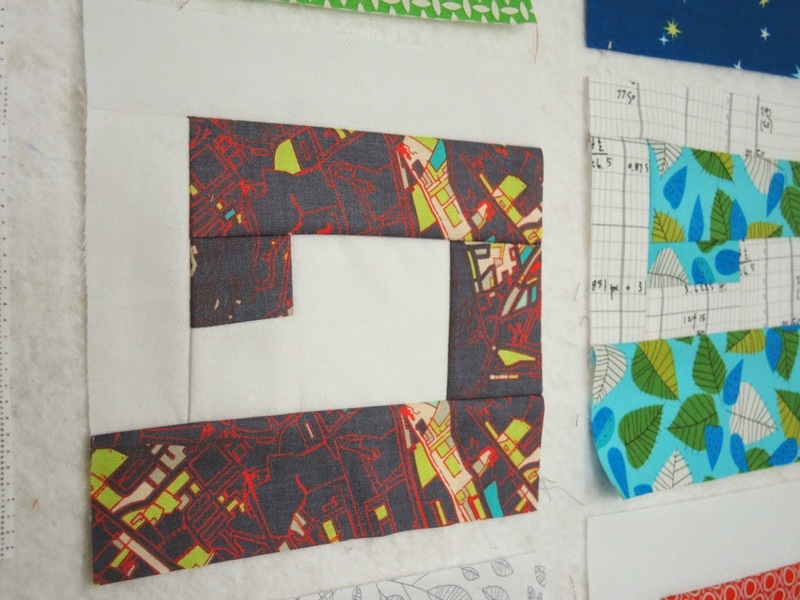 I LOVE your new sewing machine block! So so fun! And the class was fantastic! Those sewing machines are hilarious....they are all different just like real ones...each has it's own story!!! Rock on Cheryl, my mojo is humming right now too despite some serious hip pain-silver lining: can't sleep, might as well SEW !~! 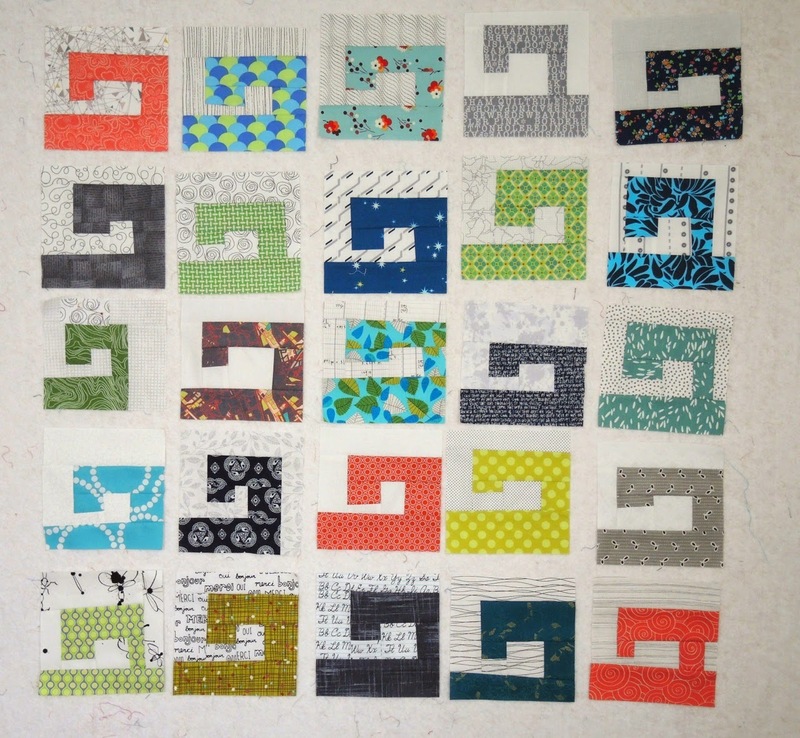 I love the new sewing machine block-very creative. Glad to hear you are coming out of your slump. 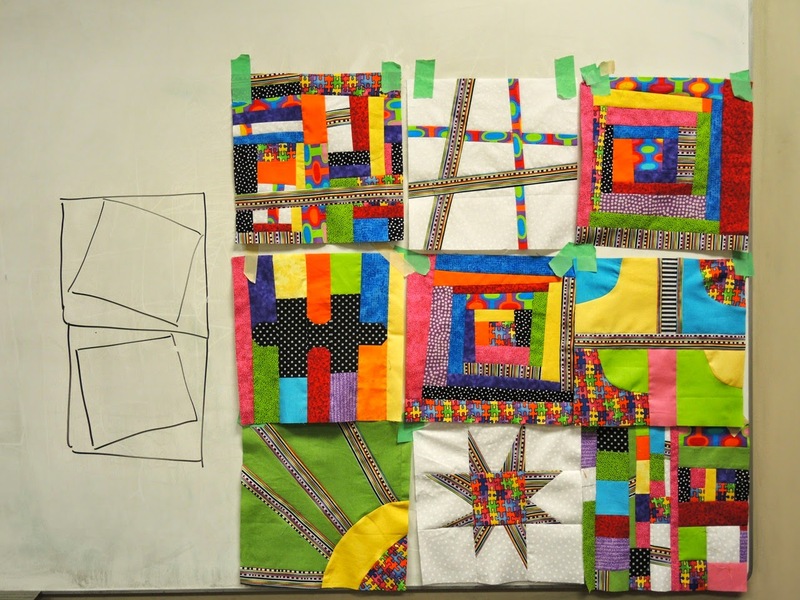 I started quilting when I slipped into a slump with my pottery ( I graduated from ACAD in Calgary ) I'm still in a slump with the pottery but doing a little sewing is my reward for pushing through with the clay. I do think the best cure for a slump is finding the motivation to get started. Sometimes a deadline such as teaching a class is the motivator. Your 'Just One Slab' was a huge project and I think that can be draining as well. 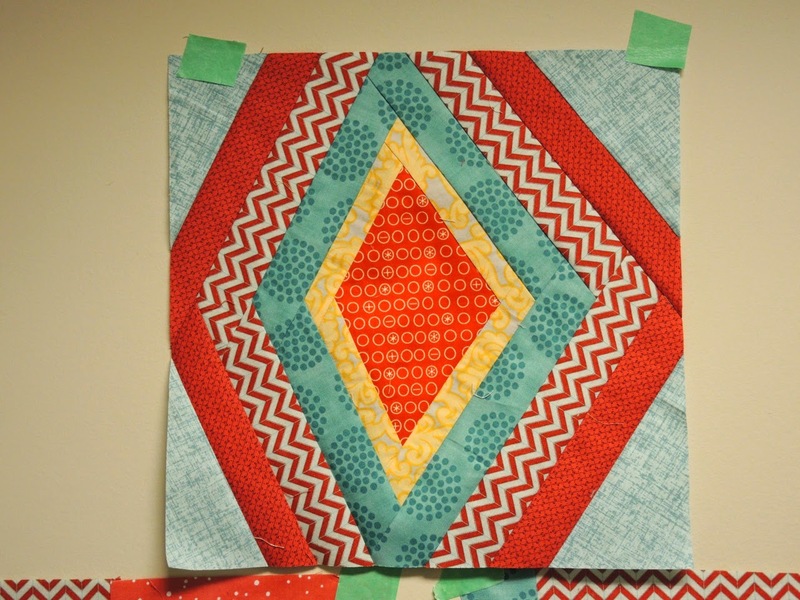 Congratulations on all the good energy you have created with those quilts. Looks like it was a load of fun!